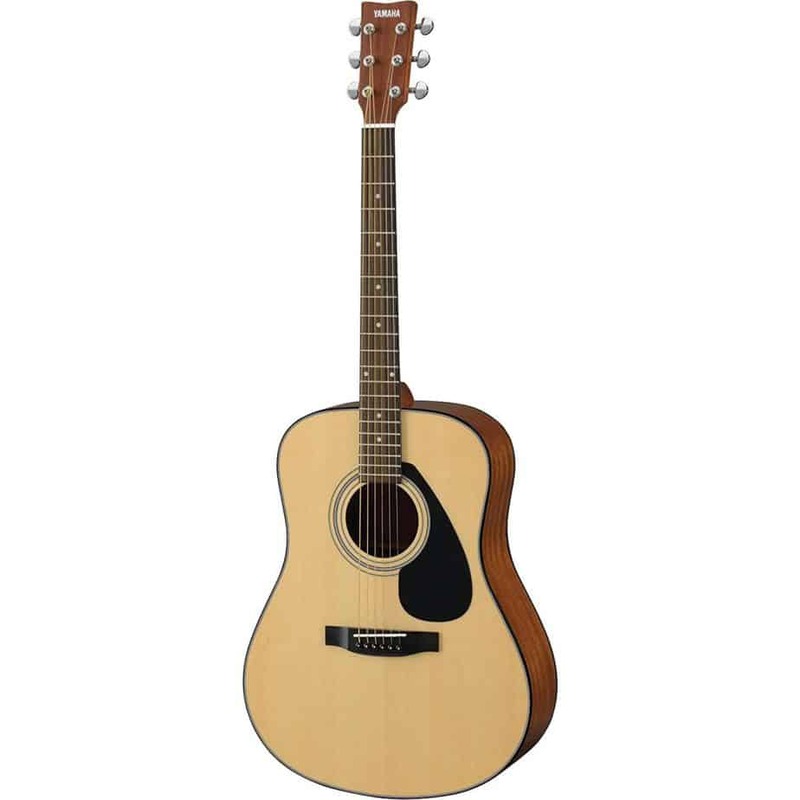 The Yamaha F325 is an acoustic folk guitar that’s an affordable option for a beginning guitarist to learn on. Out of all of the series that Yamaha has, the Yamaha F325 is one of their most popular series, partially because the F series is comprised of mostly beginning level guitars. For the price range, I really enjoyed several things about this guitar. For the physical appearance of the guitar, the dreadnought shape was appealing and wasn’t too heavy while holding the instrument. The sound is more on the mellow side, but sound production is neither too loud nor too quiet; perfect if you are someone who enjoys performing in front of small audiences. Small budget guitars are easy to find too, but finding a quality guitar on a budget isn’t always the easiest thing to do. If you are a beginning guitar player looking to find a guitar that’s going to last you a few years while you grow, the Yamaha F325 is a guitar you should really take some time to look at. The feel of the F325 is very rich and luxurious, especially when compared to other guitars in this price range; other guitars that share the same price tag as the F325 and come with an average finish, don’t stay in tune for a long period of time and have very flimsy plastic pick guards. 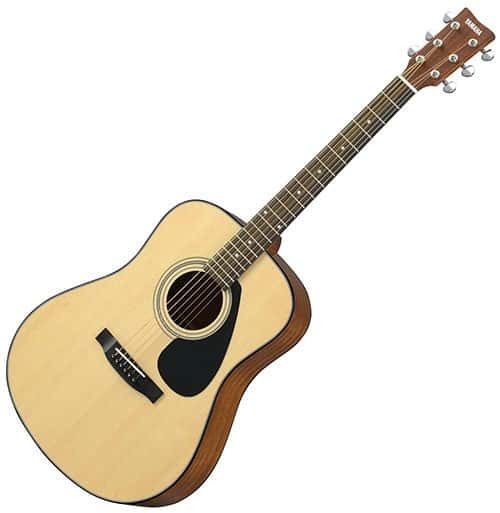 However, this Yamaha F325 stays in tune for long period of time, a sturdy pickguard, and an elegant finish; this guitar has a classic dreadnought shaped body that comes with a non-cutaway with a laminate spruce top that is topped with a glossy finish. As for the construction of this guitar, the top of the guitar is crafted from the spruce top and the neck of this instrument is of Nato wood; sides and back are made from Meranti wood. There is a dovetail joint that is found on the standard 14th fret. The F325 width is 11/16 inches wide, there are fourteen free frets, twenty frets in total, and the dot position inlays with a 25 ½ inch scale. While this guitar is inexpensive, it doesn’t look it! The bridge and fretboard are made from rosewood; the fretboard has an adjustable truss rod. On the end of the neck, Yamaha placed chrome plated die cast tuners, which really makes the guitar look classy. 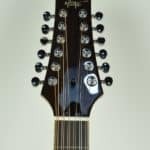 One of the reasons that the Yamaha F325 stays in tune for long periods of time is due to the truss rod that can be found at the neck of the guitar. As for the tone of the guitar, the rosewood finger board is to name for that; the rosewood finger board really adds to the overall warmth of the sound the Yamaha F325. If you are someone who is an experienced musician and are looking for a guitar that is an affordable instrument to practice on, the Yamaha F325 will get the job done. While I do suggest this guitar to my beginning guitarists, I also recommend it to my experienced musicians. This is the ideal guitar to practice all of your finger techniques on. Personally, I would highly recommend this guitar as it’s very versatile. While this guitar has been created with beginners in mind, those who have been playing guitar for years will also enjoy playing this instrument. As an experienced guitar player, you will notice that the action is pretty high on this guitar. However, if you spend an extra $40, you can go get this fixed at any local guitar store. Also, while this instrument doesn’t come with an electric amplifier, this guitar still does produce an incredible amount of volume. The Yamaha F325 Folk Acoustic guitar works the best for folk music, as listed in its description. However, this is a very versatile guitar, so it’s really great for any genre that you choose to play on acoustic guitar. Yes, it does! This is a very useful guitar that has a beautiful appearance that has a body that has been well built and is certain to withstand some abuse. The glossy spruce top really makes the guitar stand out from the crowd. The wood that Yamaha used on this guitar also makes it very durable but also ensures that it has incredible sound quality and tonal qualities. 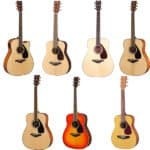 This guitar is also really popular among beginners, mainly because of the color choices that is offered. This guitar does pronounce the bass more than the Yamaha F325, but it still plays easily and is very affordable. The Yamaha F325 Folk Acoustic guitar is a well-rounded instrument that is great to use as a guitar to learn off of. Due to the shape of the neck, this guitar really helps beginners learn how to place their finger on the neck of a guitar, how to properly move their fingers on the neck, how to hold a guitar, how to show emotion through the music, how to stand while playing, and how to play while standing. The price tag on this instrument is also unbeatable, considering the quality of sound and feel of the F325. The Yamaha FG800 vs FG830 – The Acoustic Guitar Battle! 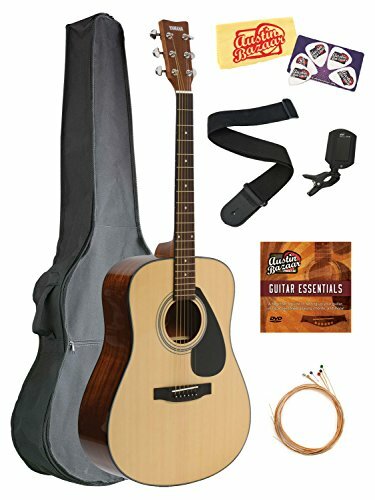 Can a Cheap Guitar Like the Fender FA-100 Be Any Good?